With approximately 1,900 restaurants scattered across the country, Chipotle is the undisputed king of fast casual. But with enormous success comes imitation. 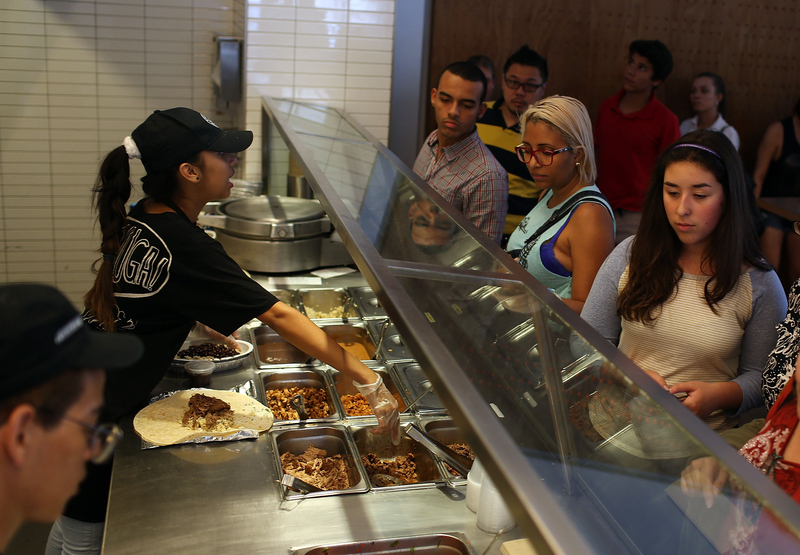 Chipotle paved the way with its sleek decor, humane sourcing, and enticing menu. Now, the pavement is full as countless new fast-casual chains pop up, aiming to capitalize on such a successful service model. And a new crop of restaurants are trying to outdo Chipotle. As QSR Magazine's Sam Oches reports, Fast Casual 2.0 is coming. The originality of chef-driven menu items -- straying from the classic customizable meal cachet that Chipotle pioneered -- are the driving basis of many recent chains, focusing on what Oches calls "fine-fast". Even McDonald's, the classic fast-food service standard bearer, is experimenting with more upscale limited service and higher quality offerings to shake things up. Chipotle owes a certain amount of its original success to its cachet of refined peculiarity -- there was fast food, and then there was Chipotle. The chain's initial quirk helped to differentiate it from the crowd. And now that Chipotle is mainstream, restaurants hoping to emulate it have to do more than just clone. They need a differentiating factor; they need a certain special something that Chipotle clones don't have. Chipotle is happy where it is, having secured the fast-casual segment with a nearly perfect model, Oches says. But there's still a gap to be filled between fast-casual and full-service dining; that's where fast-casual 2.0 enters the equation. Fine-fast digresses from the assembly line approach of serving food, bringing more upscale menu items to the diner with an expanded service approach stopping just short of full service: no table service, but a more comforting dining experience. New York City's Num Pang has found its distinction. 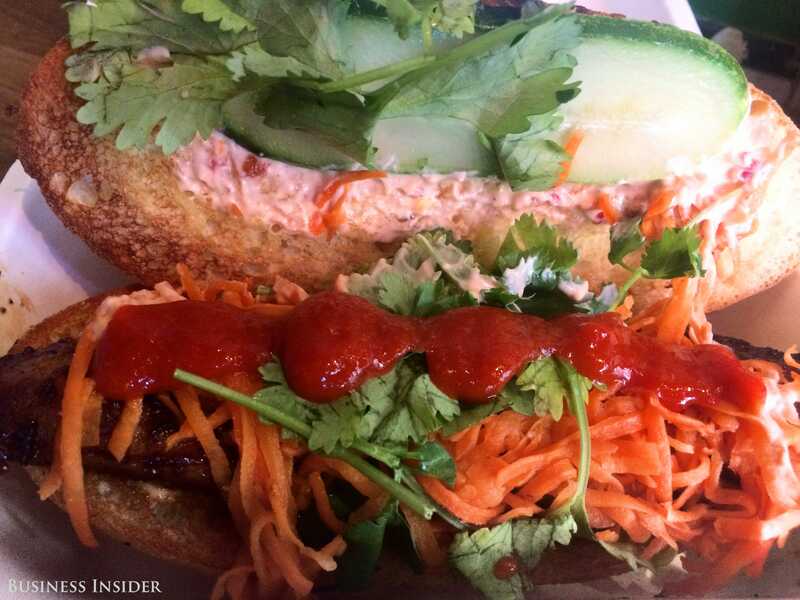 With a small but expertly crafted menu of Cambodian banh mi sandwiches with chef -- inspired components, Num Pang has found huge success in NYC -- a notoriously unforgiving place for restaurants. The food quality is on par with fine dining, from the boldly flavored sandwiches to the hearty rice and noodle bowls. The locations are inviting and trendy, decorated with vibrant graffiti, yet there are no frills. Num Pang's expansion plans fall in line with many of the Fast Casual 2.0 brands, as well as Chipotle's tried-and-true model: no franchising. "Fast food was built on the back of franchising, and that was how they were able to grow so quickly and become so large," Oches tells Business Insider. But with franchising also comes a loss of control over quality, which is a problem for such unique and high–quality menus. "The franchise model works really well for simple systems ... most of the 2.0 movement have complex systems, and you can't just put them in the hands of someone and send them on their way." This in turn impacts the speed at which a restaurant can grow. With chef-driven menus, there's a great deal of staff training to go through, which slows the rate of expansion. "It becomes about the people and talent you have in the system," Oches says. However, this also means employee culture is incredibly important. "If you share that you care to all parties involved, including your customers, your suppliers, and your employees, all of them start to care more about the brand," Oches says. "The culture is a big piece of this -- chef-driven restaurants, committed to their suppliers and staff." So while many chains are taking cues from Chipotle's model, more and more are modifying as needed to create a more comfortable and casual dining experience paired with high-quality, upscale menu items. But that elusive holy grail of restaurant chains, the "next Chipotle", may be much less like Chipotle than expected.